Yes, I am flying again. You may say by the seat of my pants, you might not! ;) Anyway, I'm flying by, again, to tell you about the latest Colour Challenge over at Some Odd World. The title of my post gives it away somewhat, don't you think?! And, as you can see, I am still favouring the CAS style I have been playing with so much lately. Maybe I have finally found My Thing! I like that very pretty flower backing paper. Now I know why you always have shinny pants. Hugs Muver. Beautiful card, Faye! Fab coloring! Gorgeous, Fluffy, great colouring and pretty papers! 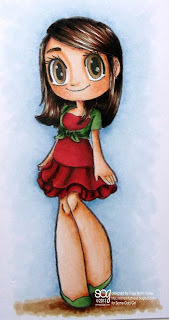 A gorgeous cas card Faye and I love the image and your fab colouring. Gorgeous card. I love combo and image. 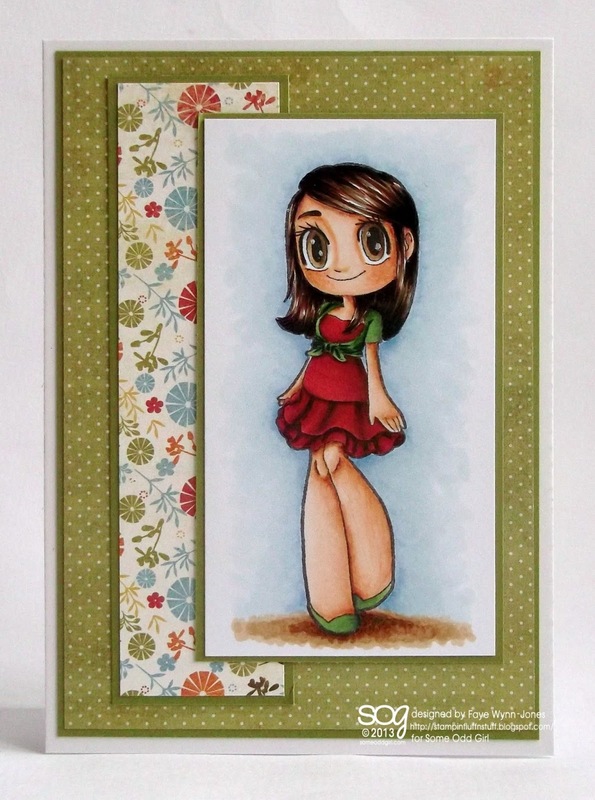 Fab card and your colouring on this sweet girl is amazing!